Hosted by Bradley Walsh, contestants must answer general knowledge questions and play their tactics right in order to get themselves into the Final Chase, where they could win a cash pot worth thousands of pounds. However, standing in the way is their common enemy, the Chaser, one of the finest quiz brains in the country. An intellectually dominating and supremely self-confident quiz genius, they will chase contestants down the board in a tense and thrilling test of knowledge to try to catch them and throw them out of the game. The Chase isn’t just a quiz; it’s a race, where the contestants must avoid being caught by the Chaser. Stay ahead of the Chaser and they share the pot; get caught and they lose the lot! 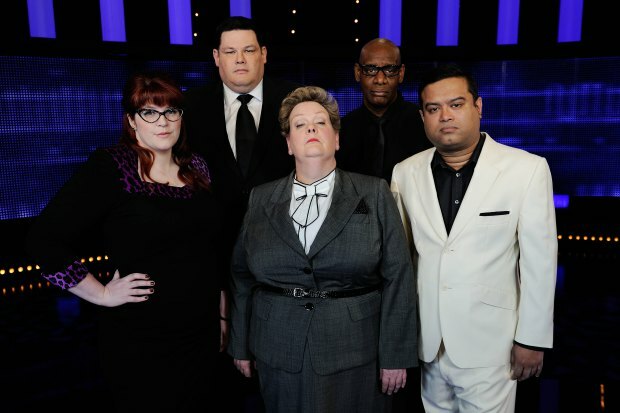 Jenny Ryan (The Vixen), Mark Labbett (The Beast), Anne Hegerty (The Governess), Shaun Wallace (The Dark Destroyer), Paul Sinha (The Sinnerman).